Donald Trump’s surprise election win, India’s currency reform, and Italy’s referendum shocked investors in three large economies. But curiously, the price of gold has been sinking, hitting its lowest point since February according to a Globe and Mail report. Similarly, a recent decision to demonetize high-value banknotes in India and the unexpected election victory of Donald Trump, whose economic policy positions can be described as unorthodox, should have precipitated a gold rush among investors. But instead, a sudden bullishness has taken over, inspiring a market rally. The new story paints a picture of President-elect Trump spurring growth through tax cuts and increased spending on public works. To avoid inflation, the Fed should push rates higher to cool down the overheating US economy. 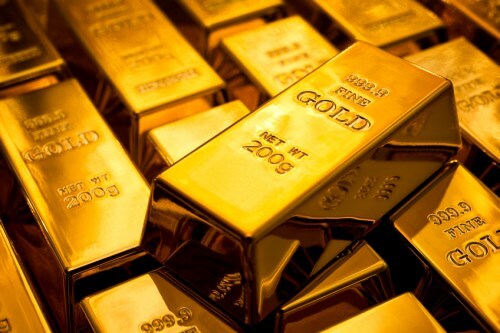 While gold is ideal to protect against volatility, it offers no dividends or interest, making it less attractive compared to bonds. Increased rates proclaimed by the Fed are also expected to attract capital into the US, strengthening the dollar. Gold prices, which are dollar-denominated, therefore will become unfavorable to non-Americans, who will have to spend more to buy the metal. Nonetheless, Scotiabank’s Johnston has maintained his $1,300 per ounce forecast for 2017 and 2018, citing possible added shocks from future EU elections and referenda that may result in shelter-seeking among investors.